With help from a grant from Google, Fairfield University’s School of Engineering in Fairfield, Conn., will present a June 26-28 workshop for area high school teachers looking for innovative ways to use Google Apps, computer science and gaming tools in the classroom. “Sponsorship funds will enable Fairfield University to provide twenty high school teachers with the skills necessary to integrate Google apps education and interactive, metaphor-based computer games tools into high school curricula to help students learn computer science and engineering concepts,” Fairfield professor Amalia Rusu said in a statement. The workshop, “Google Apps and Gaming Tools for CS Education,” is designed to teach educators how to use computer science as a means to make connections between different curriculum areas and to teach higher order problem-solving skills. 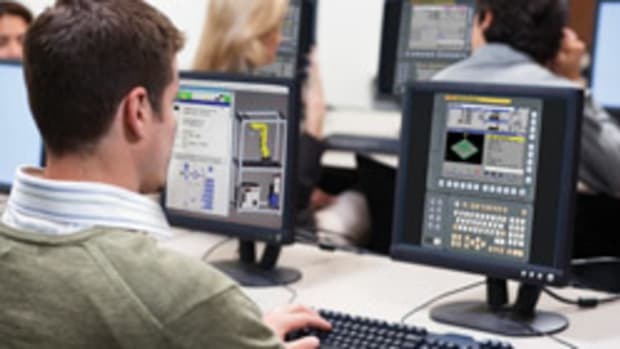 “The focus of this year&apos;s teachers training will be two-fold: first, to continue the implementation of computer science and engineering concepts through STEM education, and second, to create connections and extensions for high school teachers who have already been introduced to STEM curricula and teaching models,” Rusu added. The Fairfield University faculty-led workshop will be held in School of Engineering labs. For information, visit www.fairfield.edu/soe.